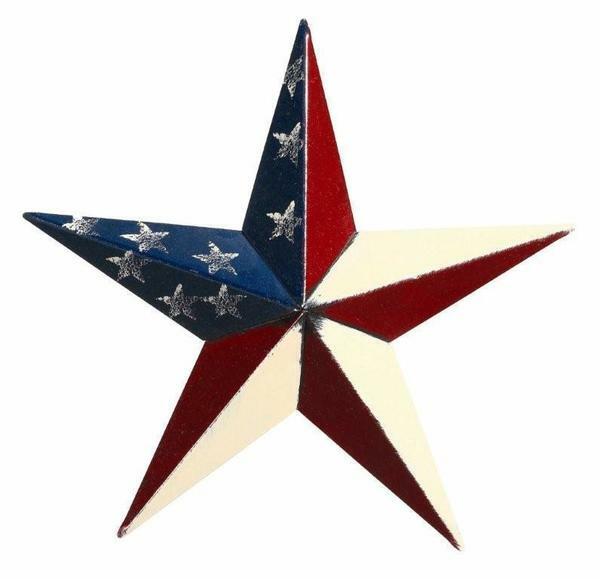 Measuring a massive 53" in diameter, this Patriotic stars and stripes-patterned metal barn star is the perfect American accent for any outdoor space! Large enough to be seen from distance and strong enough to outlast the elements, this star is the ideal addition to homes, barns, walls, gardens, and more. Every element is handcrafted right here in the USA, promising you nothing but the best in home-grown quality and craftsmanship. If you've any questions about this impressive piece, please don't hesitate to give us a call or an email - we would love to hear from you!